A modification to the boxed warning on ambrisentan (Letairis) tablets because the FDA has determined that the drug poses only a low risk of liver injury and monthly liver enzyme tests are no longer required for those taking it. A strengthened warning on topiramate (Topamax and generic versions) about the increased risk for the birth defects cleft lip and cleft palate in babies born to women who use the medication during pregnancy. Before prescribing topiramate, which is approved to treat certain types of seizures in people who have epilepsy and to prevent migraine headaches, health care professionals should warn women of childbearing age about the potential hazard. A market removal of a large number of prescription oral cough, cold, and allergy products because the drugs lack FDA approval due to changes in approval regulations. The products may contain risky combinations of ingredients, release active ingredients too slowly, too quickly, or inconsistently, or look or sound similar to other products. A class I recall of central venous catheter trays distributed by Cook Inc. because leaks in the plunger luer were detected during a routine syringe leak test. The potential exists for leakage and possible loss of sterility, which may lead to serious adverse health consequences and/or death. A recall of the ACCU-CHEK FlexLink Plus infusion set, because of the potential for underdelivery of insulin due to a kinked or bent cannula, which can result in elevation of blood glucose levels. A new warning on prescription proton-pump inhibitors (PPIs) noting that the drugs may cause low serum magnesium levels (hypomagnesemia) if taken for prolonged periods of time (in most cases, longer than one year). 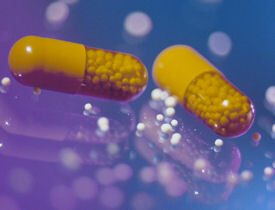 Health care professionals should consider obtaining serum magnesium levels prior to prescribing PPIs and periodically during therapy in patients expected to be on these drugs for long periods of time, as well as in patients who take PPIs with medications such as digoxin, diuretics or drugs that may cause hypomagnesemia. A warning that injectable terbutaline should not be used in pregnant women for prevention or prolonged treatment (beyond 48-72 hours) of preterm labor because of the potential for serious maternal heart problems and death. In addition, oral terbutaline should not be used for prevention or any treatment of preterm labor because it has not been shown to be effective and poses similar safety concerns. A recall of several medications manufactured by Upsher-Smith Laboratories after a bottle labeled as Jantoven warfarin sodium 3-mg tablets was found by a pharmacy to contain 10-mg tablets. The recall includes batches of amantadine, amlodipine, Androxy, baclofen, bethanechol, Jantoven and oxybutynin. A labeling change on all antipsychotic drugs to contain more and consistent information about the potential risk for extrapyramidal signs and withdrawal symptoms in newborns whose mothers were treated with these drugs during the third trimester of pregnancy. A class I recall of several lots of XenMatrix surgical graft because they have been found to have elevated endotoxin levels, which could potentially cause serious illness. Belimumab (Benlysta) to treat patients with active, autoantibody-positive lupus (systemic lupus erythematosus) who are receiving standard therapy. The intravenous infusion is the first lupus drug to be approved in 50 years. In two clinical trials, patients treated with the drug experienced less disease activity than those on placebo, except for black patients, who appeared not to respond to the drug. Patients taking the drug experienced more deaths and serious infections; the most common side effects were nausea, diarrhea, and fever. Selenia Dimensions System, the first X-ray mammography device that provides three-dimensional (3-D) images of the breast for breast cancer screening and diagnosis. In two studies, radiologists who viewed both 2-D and 3-D mammograms showed a 7% improvement in their ability to distinguish between cancerous and non-cancerous cases. 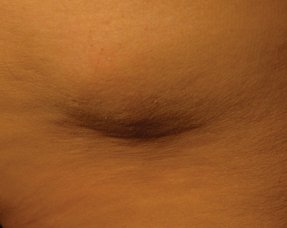 An expanded use of Allergan's LAP-BAND adjustable gastric banding system to patients who have a body mass index (BMI) of 30 to 34 and an existing condition related to their obesity. In 2001, the device was approved for use in patients with a BMI of at least 40, those with a BMI of at least 35 who also have an existing severe condition related to their obesity such as heart disease or diabetes, or those who are at least 100 pounds overweight. The QMS Everolimus Immunoassay, a test to help manage potential organ rejection in kidney transplant patients. The test monitors the blood level of everolimus, a drug approved in April 2010 to help prevent rejection in kidney transplants. Corifact, the first product intended to prevent bleeding in people with the rare genetic defect congenital factor XIII deficiency. The drug was approved based on a study of 14 people and received orphan-drug designation by the FDA because it is intended for use in a rare disease or condition. Under the accelerated approval regulations, ongoing study will be required to demonstrate that patients actually receive the clinical benefit predicted by the data obtained so far. The Ridascreen Norovirus 3rd Generation EIA assay, the first test for the preliminary identification of norovirus, to be used when a number of people have simultaneously contracted gastroenteritis and there is a clear avenue for virus transmission, such as a shared location or food. The test is not sensitive enough for use when only a single person has symptoms and should not be used for diagnosing individual patients. Azilsartan medoxomil (Edarbi) tablets, a new angiotensin II receptor blocker to treat hypertension in adults. Clinical trials showed the drug to be more effective in lowering 24-hour blood pressure than valsartan (Diovan) and olmesartan (Benicar). It will be available in 80- and 40-mg doses, with the recommended dose set at 80-mg once daily. The 40-mg dose will be available for patients who are treated with high-dose diuretics. The drug will carry a boxed warning against use in pregnant women. Roflumilast (Daliresp), a pill to decrease the frequency of exacerbations or worsening of symptoms from severe chronic obstructive pulmonary disease (COPD). The drug, an inhibitor of phosphodiesterase type 4, is indicated for people with severe COPD to treat the symptoms of cough and excess mucus linked to bronchitis. It is not intended to treat COPD that involves primary emphysema and comes with a medication guide informing patients of the potential risks of mental health problems, including changes in mood, thinking, or behavior, as well as unexplained weight loss. The FDA issued an update about its ongoing safety review of abacavir and a possible association with increased risk of myocardial infarction (MI). Abacavir is an antiviral medication used in combination with other antiretroviral drugs for the treatment of HIV-1 infection. Brand names of medications that contain abacavir include Ziagen, Trizivir, and Epzicom. Given conflicting results from various observational and controlled trials about the potential increased risk of MI, the FDA conducted a meta-analysis of 26 randomized clinical trials that evaluated abacavir. The meta-analysis did not show an increased risk of MI associated with the use of abacavir. Therefore, the agency advises health care professionals to continue to prescribe abacavir according to the label, but to report any adverse events to the FDA's MedWatch program.